– If you already have other mods installed, make a backup of them, the modpack can overwrite some elements!!! – Make sure you have a backup of the files in Game_Directory\res\audio: ingame_voice.fev and ingame_voice.fsb. – If you want the gun sounds mod, make a backup of all the files in your Game_Directory\res\audio. – The easiest way to find this files back is to make a audio backup folder in your Game_Directory\res folder. – Open the modpack, you will see 2 folders: res and res_mods, and the 2 manuals (English and Dutch). – Copy the files in res\audio into Game_Directory\res\audio. – Copy the folders in res_mods into Game_Directory\res_mods, if your pc asks you if you want to overwrite certain files, click yes. 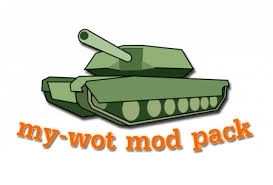 – Go to http://www.modxvm.com, log in with your WoT account and activate your statistics. – Launch your game, and enjoy the changes!